The Flanged joint is a rigid pipe joint typically used in above ground applications such as treatment works, pumping stations or fire mains. 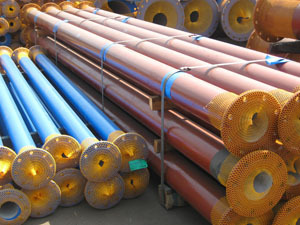 Welded Flange Pipes - Flanges are machined to an established 'undersize'specific to the pipe spigot, heated and shrink fitted to the pipe barrel. Subsequently they are welded to create a strong jointing system. Due to the rigid nature of the joint and the risk of excessive bending moment being imposed it is advised that flanged pipework is not used in buried pipelines. Flanged Joints are rigid but can act as a restrained joint, reducing the requirement of thrust blocks and external restraining devices. However it should be noted that the use of Flanged Joints as a buried pipeline is not recommended. 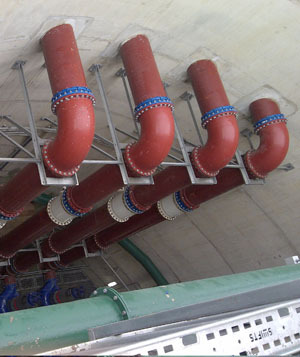 Any vertical pipelines used in treatment plants, pump houses, or any elevated or overhead service reservoirs. In pump house, water and sewage treatment plants where various units and accessories are interconnected and pipes can be manufactured to bespoke lengths upto 5.3M in length. Applications where pipelines need to be disengaged or transferred from one location to the other. 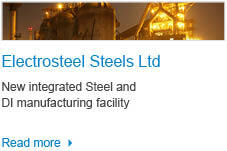 Stronger: Due to higher tensile strength and better impact resistance. 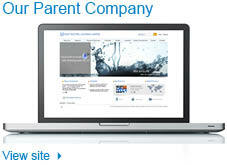 Safer: Higher factor of safety against pressure fluctuations, water hammer and outside impacts. 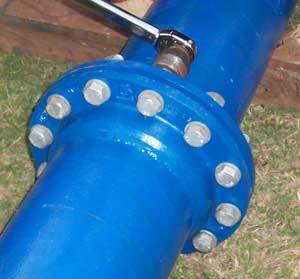 Lighter to use: Ductile Iron Flanged Pipes are lighter, which reduces handling and transportation cost. Better casting process: Centrifugal casting of pipe barrel ensures compact casting and eliminates defects like blowholes, pinholes, slag inclusion and core displacement. Reduced pumping costs: Our pipes are centrifugally cement mortar lined, and the smooth finish reduces friction loss. Corrosion resistance: Internal cement lining and external Zinc / Bitumen coating offers excellent protection against corrosion. Dimensional accuracy: Centrifugal casting ensures uniform wall thickness and excellent surface finish. 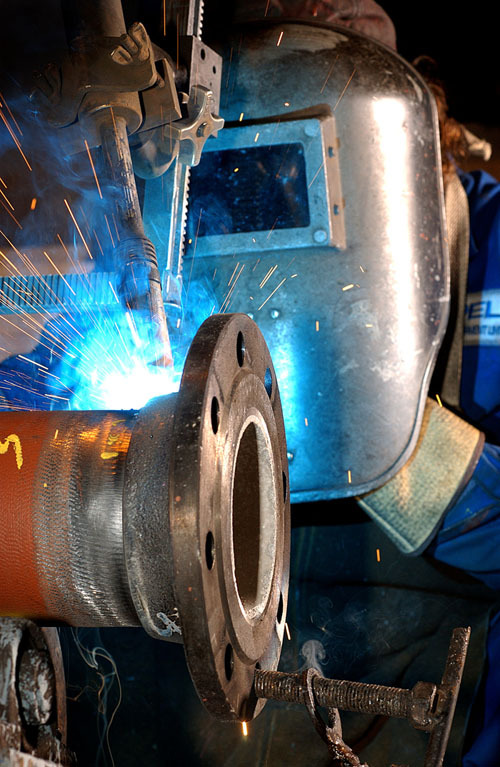 For technical and dimensional detail on fabricated pipes please click here.